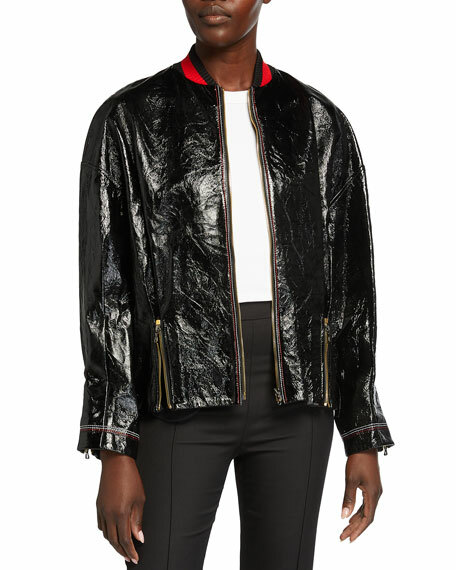 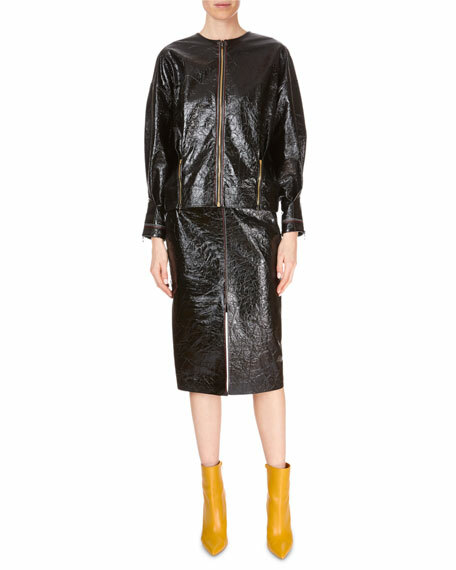 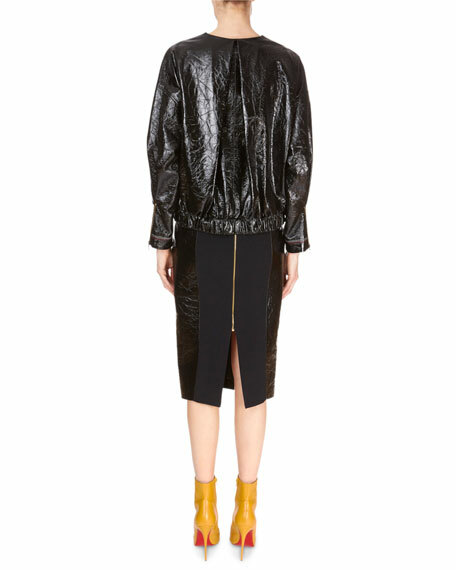 Roland Mouret "Davis" jacket in patent napa leather. 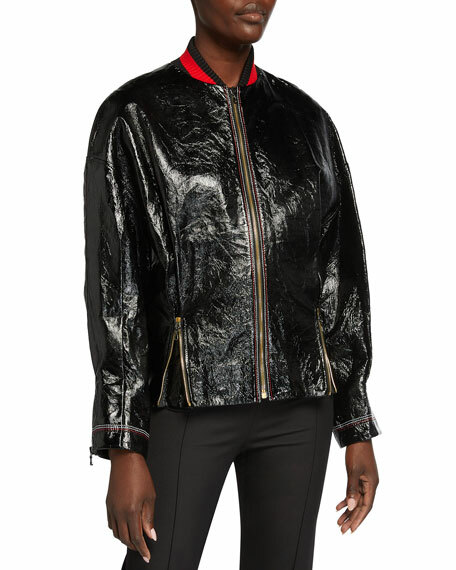 Round neckline; zip front with contrast stitching. 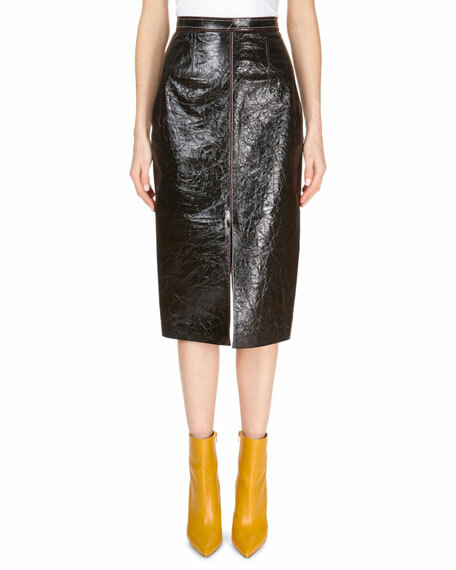 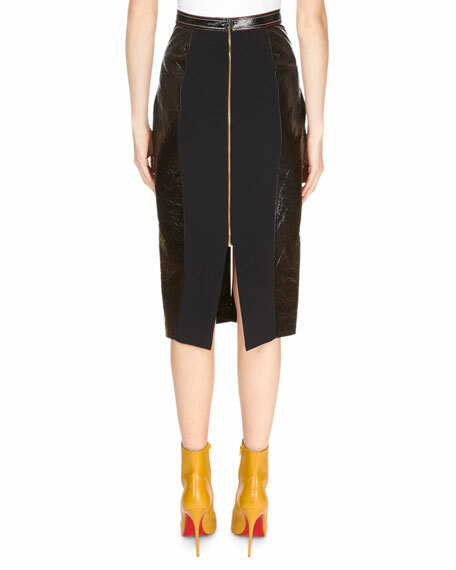 Roland Mouret skirt in patent foil leather.